hd00:18Little girl learns to walk with her feet in rays of golden sunset. Loving parents walk with baby. 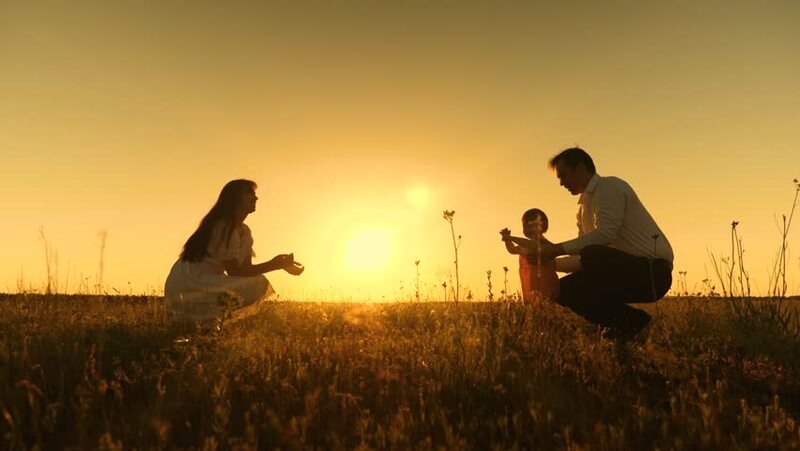 Dad and mother in field in evening with her daughter. hd00:31parents are taught to walk small child, little girl makes her first steps in sun, slow motion. daughter plays with mom and dad in sun. happy child are playing in park with their parents. hd00:30Father and son planting a tree. Sunrise. Silhouette. Spring.